A rights advocacy group, Socio-Economic Rights and Accountability Project, said it had sued the Federal Government for its failure to initiate criminal proceedings against the wife of former President Goodluck Jonathan, Patience, in relation to the $15m traced to bank accounts belonging to her. The group said in a statement on Sunday by its Executive Director, Adetokunbi Mumuni, that it resorted to suing the Federal Government after its request for Patience’s prosecution was ignored by the Attorney General of the Federation and Minister of Justice, Abubakar Malami (SAN). In the said suit marked, FHC/L/CS/1318/2016, SERAP is seeking an order of mandamus, compelling the AGF to immediately file a criminal charge against Patience for what the group termed illicit enrichment. It argued that the AGF was bound by Section 174 of the constitution to prosecute anyone found to have contravened any law enacted by the National Assembly. It stressed that the failure of the AGF to prosecute Patience was at variance with the rule of law binding on all citizens. 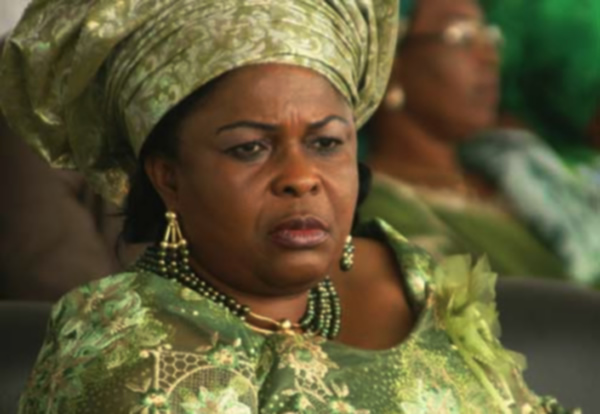 SERAP said, “The Attorney General of the Federation has failed, neglected and or refused to institute and undertake criminal proceedings against Mrs. Dame Patience Jonathan over the $15m unexplained wealth frozen in her accounts. “Obedience to the rule of law by all citizens, but more particularly those who publicly took oath of office to protect and preserve the constitution, is a desideratum to good governance and respect for the rule of law. In a democratic society, this is meant to be the norm; it is an apostasy for government to ignore the provisions of the law and the necessary rules made to regulate matters. SERAP is urging the court to declare that Malami’s refusal to file a criminal charge against Patience was in conflict with his constitutional mandate as well as the provisions of the Corrupt Practices and Other Related Offences Act 2000. The court has yet to fix a date for the hearing of the suit.